Breg HEX Elbow Brace The Breg HEX Elbow Brace is BREG's newest upper extremity elbow brace that sets a new standard in soft elbow braces.This unique three-in-one elbow brace manages range of motion, controls migration and prevents Hyperextension. The HEX Elbow Brace achieves all three benefits with an extraordinary level of comfort for the young athlete, Pro Bowl linemen and weekend warrior. Slip-on half wrap bicep sleeve. "X" anterior straps with strap-lock buckle. Adjustable hinges to control desired ROM. Half Airmesh for breathability and half neoprene. Different length of hinge bars for patient comfort. Additional elbow foam padding to protect olecranon process. 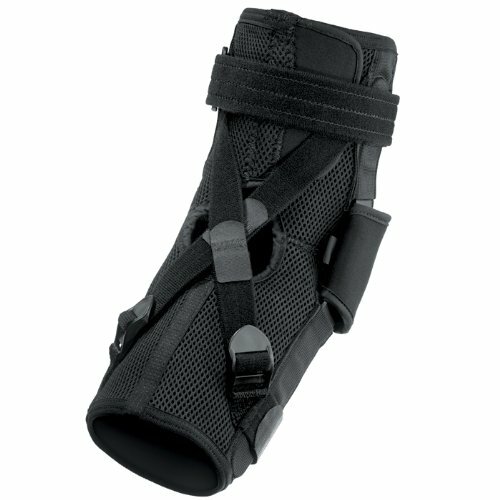 Indications The Breg HEX Elbow Brace is indicated for chronic elbow injuries, elbow hyperextension, elbow tendonitis, post-elbow dislocations, minor lateral epicondylitis (a.k.a. tennis elbow) and UCL (ulnar collateral ligament) reconstruction (a.k.a. Tommy John surgery). Goals Maximum activity. Delay surgery. Decrease anti-inflammatory medications. Decrease pain symptoms associated with hyperextension. Improve elbow joint function. Ultimate protection.